The Lok Sabha has approved the government’s request for additional spending of Rs.80,000 crore for re-capitalisation of state-run banks through the issue of bonds. Earlier, the finance ministry sought Parliament’s nod for the extra spending as part of the third batch of supplementary demand for grants for 2017-18. Sources said the recapitalisation bonds to be issued to state-run banks would be non-tradeable and will have non-SLR status. 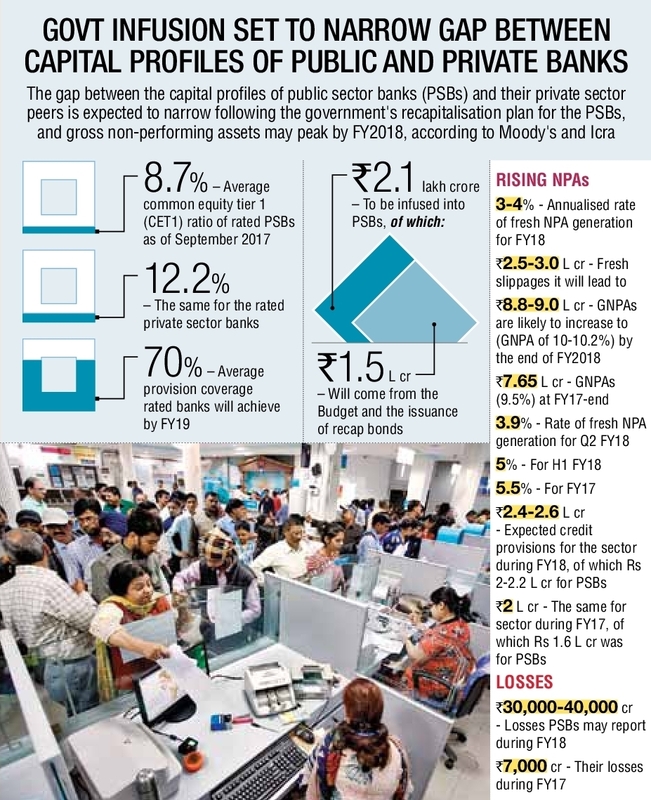 Last year, the government had announced a fresh package to breathe life into ailing public sector banks through a Rs.2.11-lakh-crore infusion that is expected to provide them with much-needed share capital for lending and revive investment, crucial for job creation in Asia’s third-largest economy. The government had also said that a series of reforms would be unveiled to clean up the sector hit by soaring bad loans. According to the plan, over the next two years, the government will use recapitalisation bonds worth Rs.1.35 lakh crore. It will also provide a support of Rs.18,000 crore and the remaining Rs.58,000 crore will be raised by banks through a fresh issue of shares while ensuring that government holding stays above 52%. 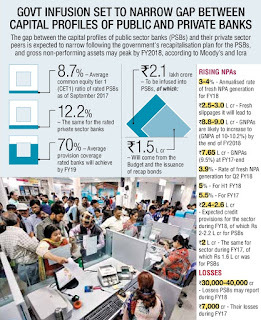 While announcing a mega recapitalisation plan, finance minister Arun Jaitley had said that strict conditions will be put in place to avoid a repeat of unbridled lending that has resulted in record NPAs for Indian lenders, particularly those in the public sector. 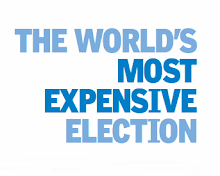 The better performing banks would be incentivised. State-run banks have been hit hard by huge bad loans, which have hobbled lending and hurt growth. The government has blamed the bad-loan problem on lending rush seen between 2008 and 2014. Shares of state-run banks rallied on the news of the government’s extra spending request for recapitalisation of banks. Shares of PSBs surged up to 8.5%.